Of course, we expect dramatic explosions of flowers. That’s the Masson family traidition. About Charles Masson’s new Majorelle at the Lowell, the first thing to say is: It’s beautiful. The lounge is a gem. There’s a garden in glass (although I won’t sit there because the throbbing light would make me dizzy). 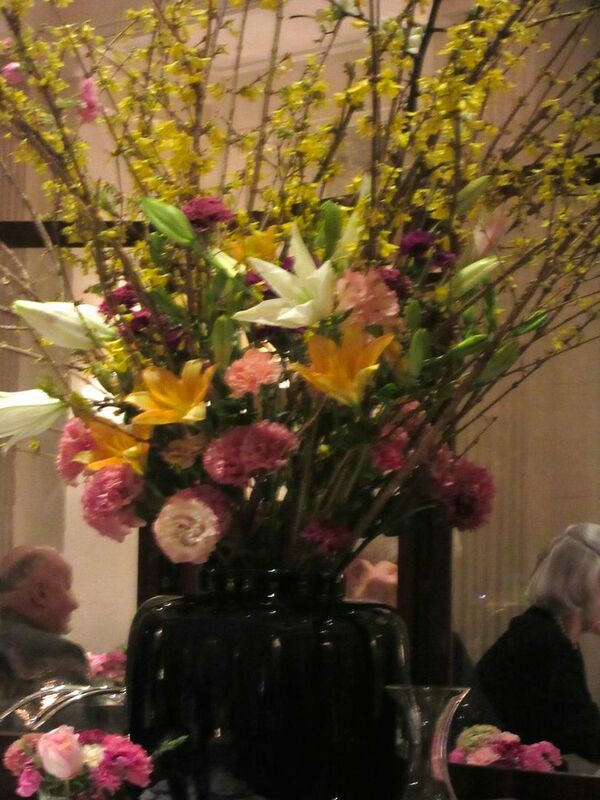 But the main dining room feels very welcoming, special, well-mannered, actually quite rich. Rich indeed. Dinner is expensive -- entrées $35 to $68 -- but this crowd can afford it. 7/31/2017: PLEASE NOTE: The new dinner menu is no longer a la carte. 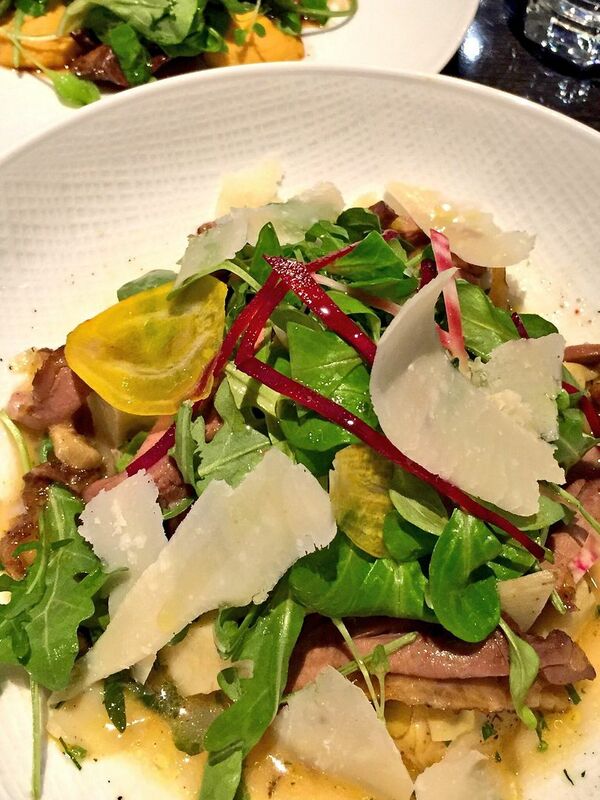 It is now $110 prix fixe. 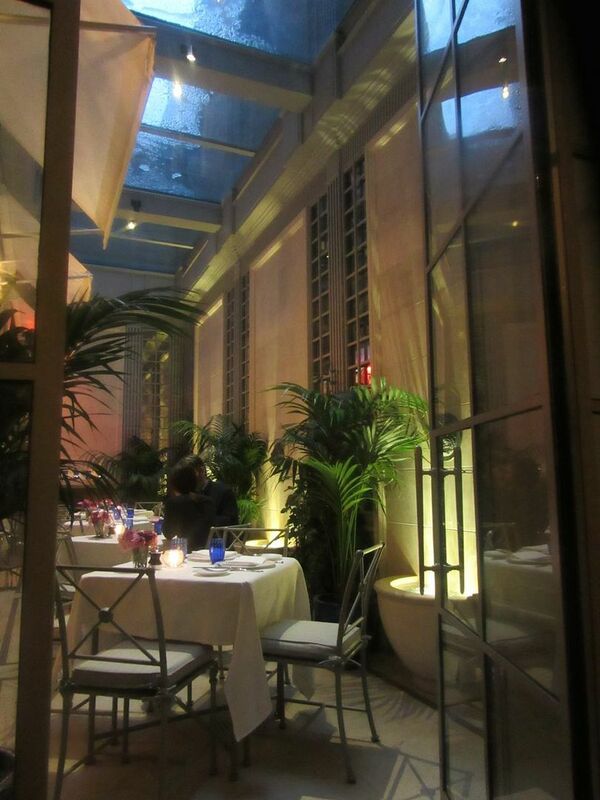 The garden dining room is wrapped in glass with vibrating lights indicating water. 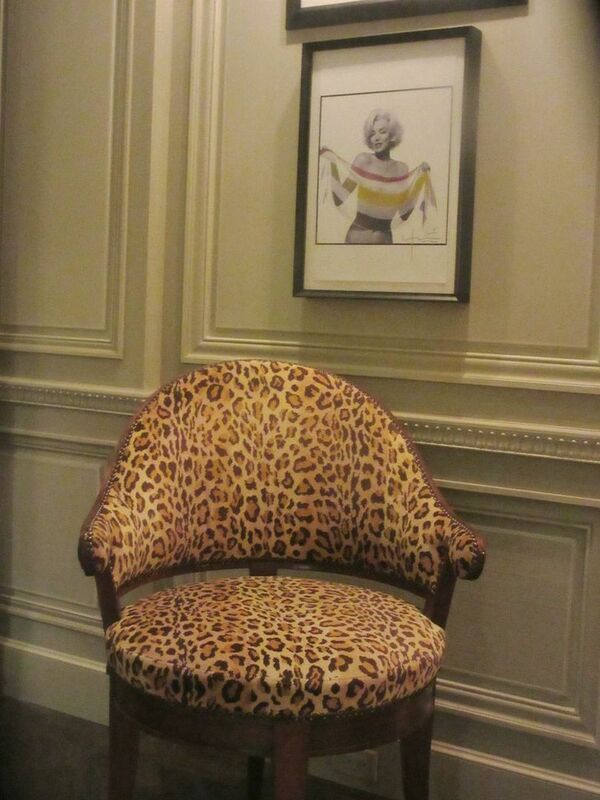 The adjacent lounge is a design triumph. Good spot for an aperitif, perfect to launch an affair. The menu is big, with big print. It’s an odd mélange of bistro and grand with Moroccan wrinkles, as promised, since after all, Majorelle is the famed garden in Marrakech where Yves Saint Laurent kept his Moroccan getaway. Is there anyone who’s not been to Marrakech? In this crowd? Well. I wouldn't admit it. 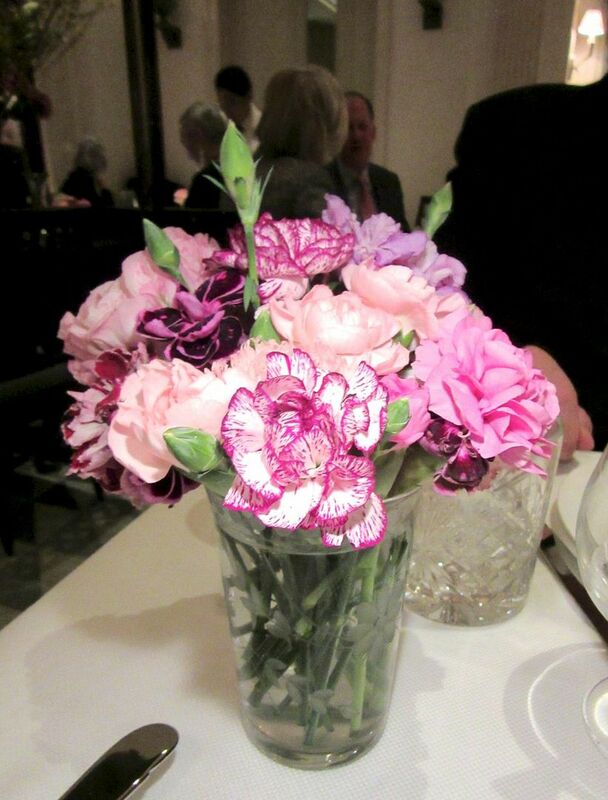 A smooth tablecloth with padding underneath and more bouquets of flowers say rich, rich, rich. 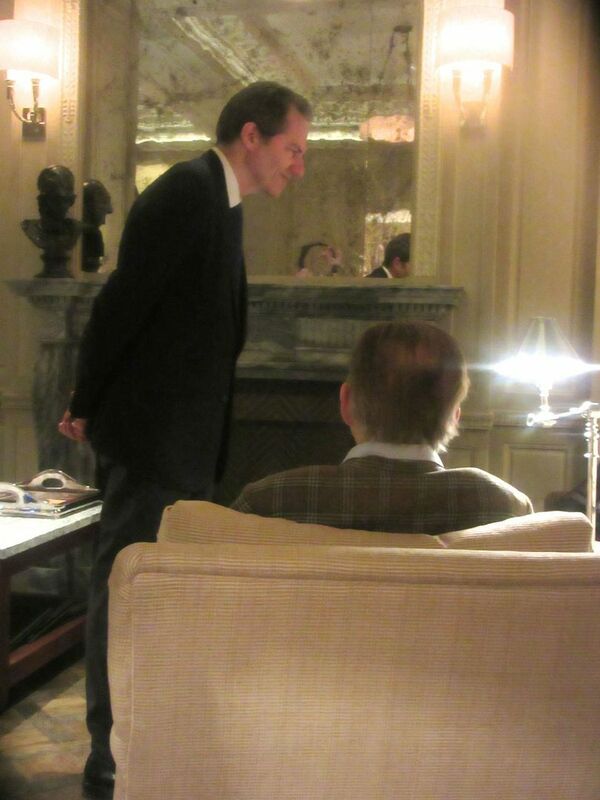 Early in the evening, Charles Masson welcomes guests having drinks in the library-lounge. The carrots make a stunning still life in their blue bowl but could use a little ommph. The $18 wine by the glass arrives with no offer to taste first. I could interrupt here to say there are some dishes that don’t really work. 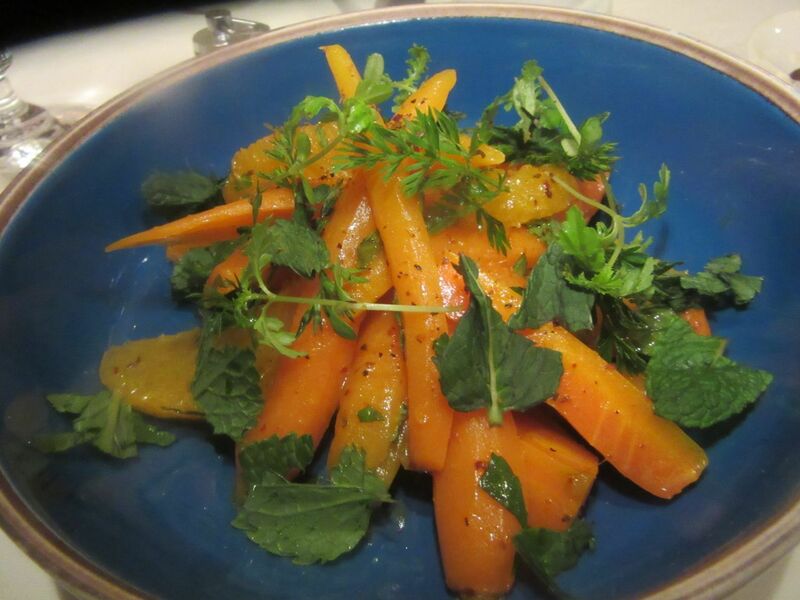 The blue Moroccan bowl of carrots with a few orange segments at $19 is a bit of a hiccup. This shabby foie gras makes me long for the great duck liver thrills of the past. The salmon “special” is instantly forgettable. 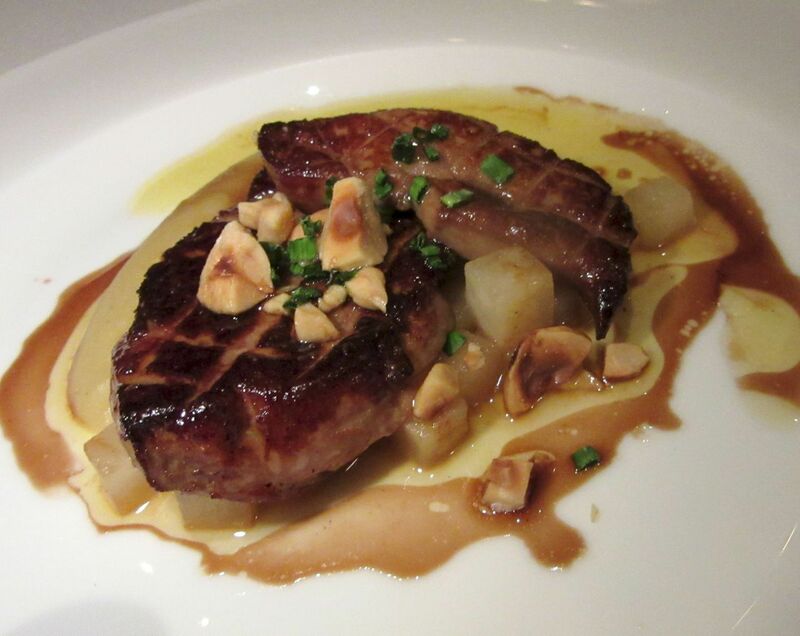 Foie gras at $39 is a tad mingy. There are the inevitable beets and these roasted orange and red beauties with green apple and pecans in a stinging vinaigrette reinforce my indifference. What an inspired presentation for oysters! Spashed with a peppery mignonette and served in an endive leaf. 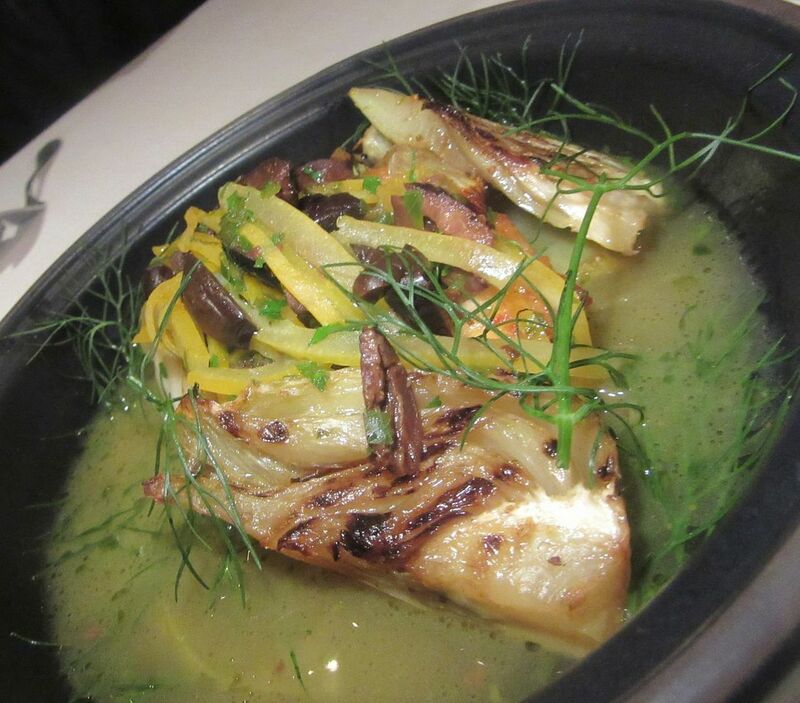 On Majorelle’s Moroccan agenda: lightly cooked snapper with preserved lemon and fennel. But I’d rather start with the dishes I really love. 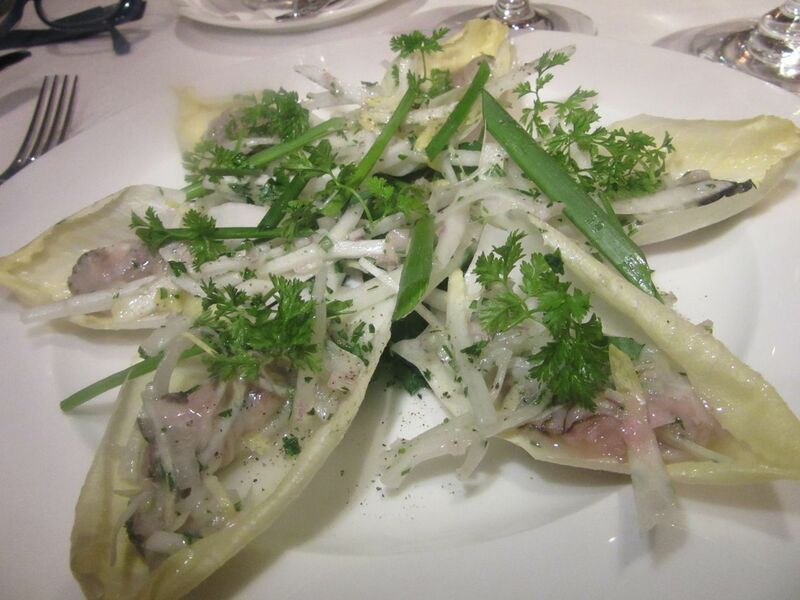 Oysters with white peppercorn mignonette and parsley tucked into endive leaves seem brilliant and original to me. The snapper with preserved lemon and fennel in another pottery bowl is slightly Moroccan, but not enough to scare the more timid, and it’s delicious. House-baked mini baguettes are exceptionally fine, chic with their sharp points at each end. Want more? A busser brings them warm in a bowl. 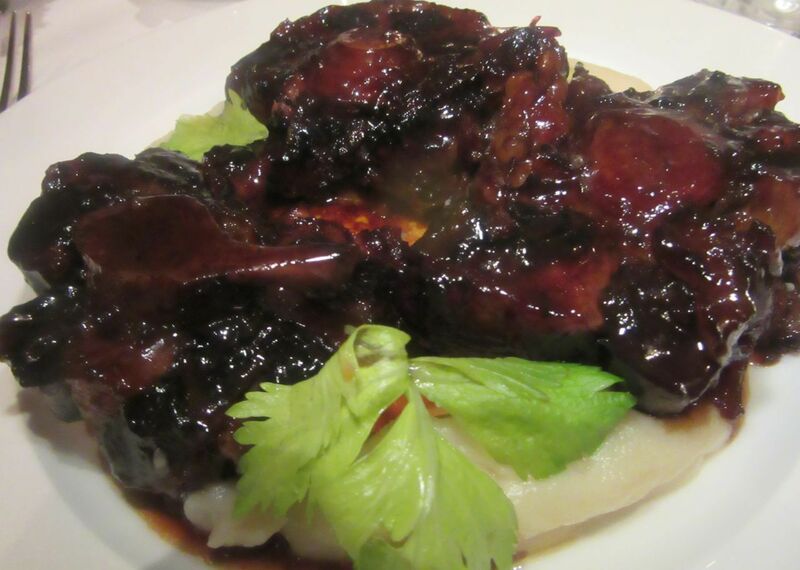 Rich oxtails braised in Red Burgundy with celery root purée is our favorite that first early evening. I almost stamp my foot when the $38 lobster ravioli the three of us have asked to share between courses arrives-- one lone raviolo for each of us. Yes, $12.88 per orb. That first early evening, my friends and I are wild about the braised oxtail cloaked in a dark Burgundian sauce on celery root purée. But I can’t imagine this zip code succumbing to oxtails, that are messy to eat and fattier than short rib. 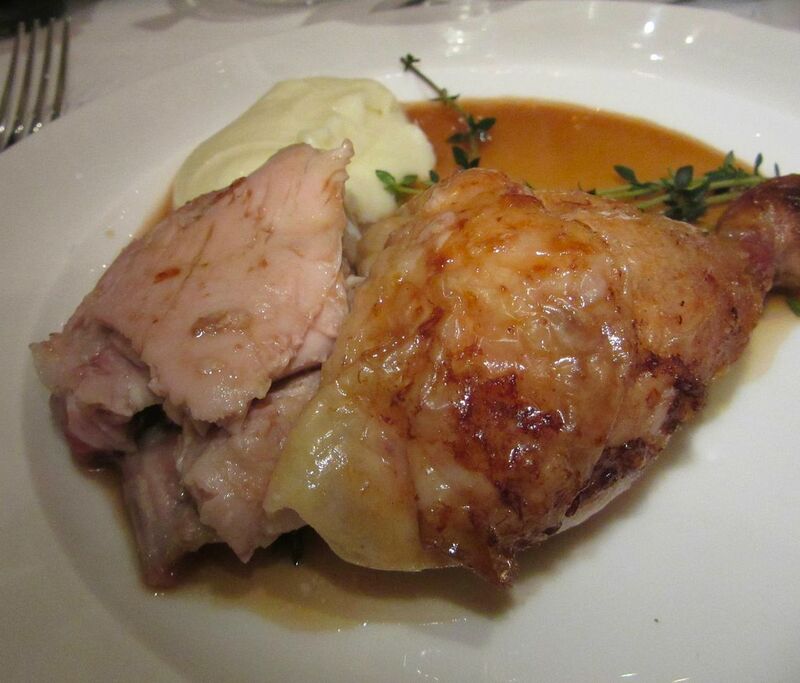 The whole chicken presented in its iron pan looks like chef Delouvrer’s at La Mangeoire, but it isn’t. At dinner a few weeks later, I ask for a whole chicken our foursome will divide. 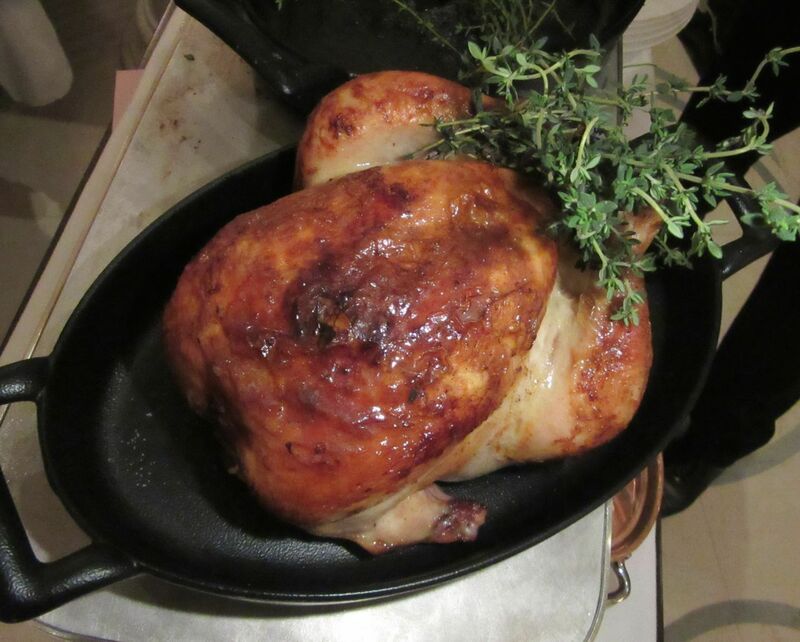 The bird is presented, plump and golden in its iron pan. There are some tense moments when one of us doesn’t mention he likes both white meat and dark and almost deprives a dark meat fan of his entitlement. I straighten that out. A whole chicken will serve four if you have a suitable balance of white and dark meat eaters. The mousseline aux pommes de terre doesn’t evoke memories of Joël Robuchon’s at Jamin, but it’s good enough. 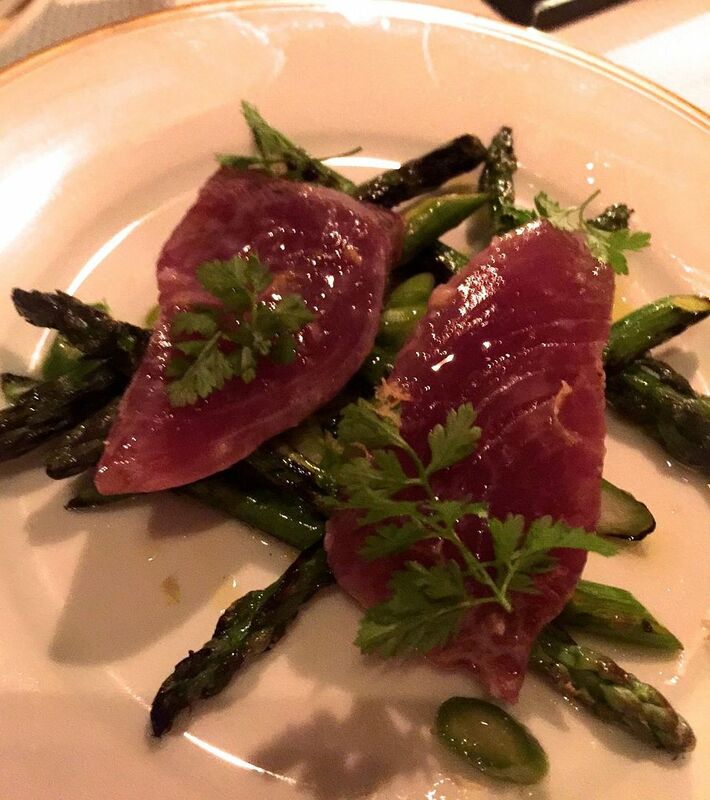 And though the bird is definitely not a reincarnation of the chicken at La Mangeoire by Christian Delouvrier, who signed on to run the kitchen here and then disappeared, it’s carefully cooked, judiciously seasoned and very juicy. 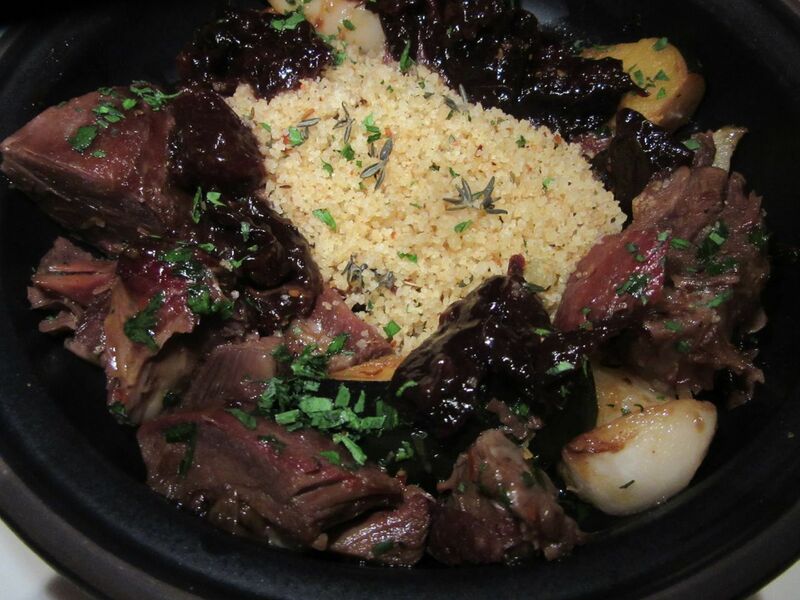 Juicy lamb chunks nestle with prunes on couscous in this excellent tagine. Just to be sure we don’t starve, I’ve also ordered the lamb tagine with prunes, couscous, and harissa. It’s fabulous, all of us agree. Our first choice if we ever return, though we can’t say how soon, if ever. At this moment, early to be sure, the service is chaotic. This delicate little custard comes as a prologue to dessert. Multiples of waiters dash around, but are never near when you need one. Dishes, clearly finished, sit. There can be long intermissions between courses. Masson and his maître d’ Jacques Le Magueresse swoop and dive too, looking grim, clearing plates, guiding guests to table, carving one chicken after another. 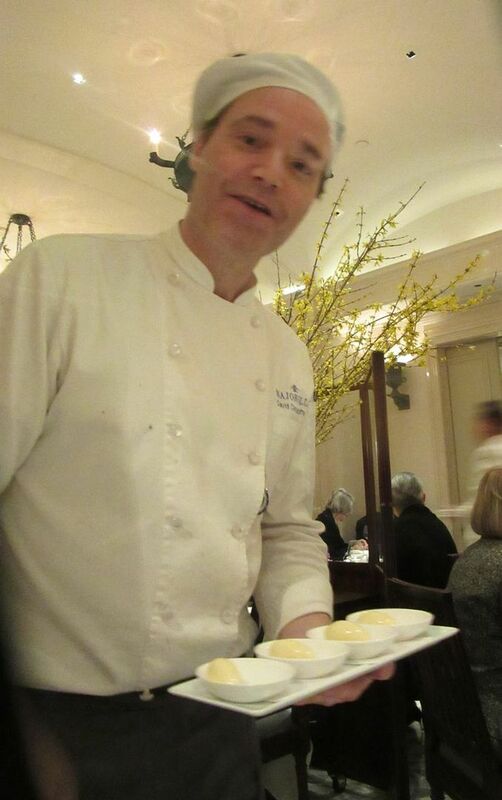 Pastry chef David Carmichael honors my restaurateur companions by bringing out all his desserts. An extra gift dessert – the waiter pronounces it Cal-VA-dos – and little goodies set the stage for the $400 ransom we will pay. The veteran pastry star David Carmichael once worked for my restaurateur companions, so after cooling sorbets, the table is soon covered with desserts. There is soupe of red fruits à la mode for everyone, and then Carmichael himself delivers the baba au rhum. The marquise au chocolat noir is more elegant than sensuous. 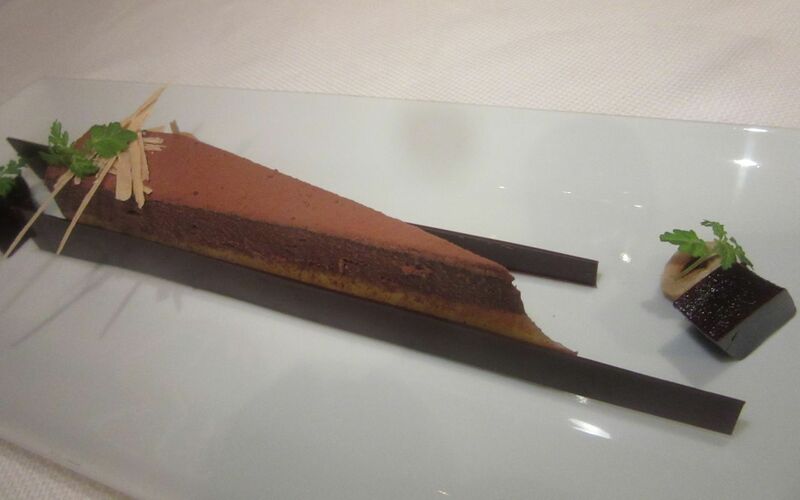 The chocolate marquise is more a work of art than a triumph of sensuality. But some must have chocolate. “I made a list of the desserts I thought Charles might serve and I decided to look at them in a new way,” Carmichael confides. 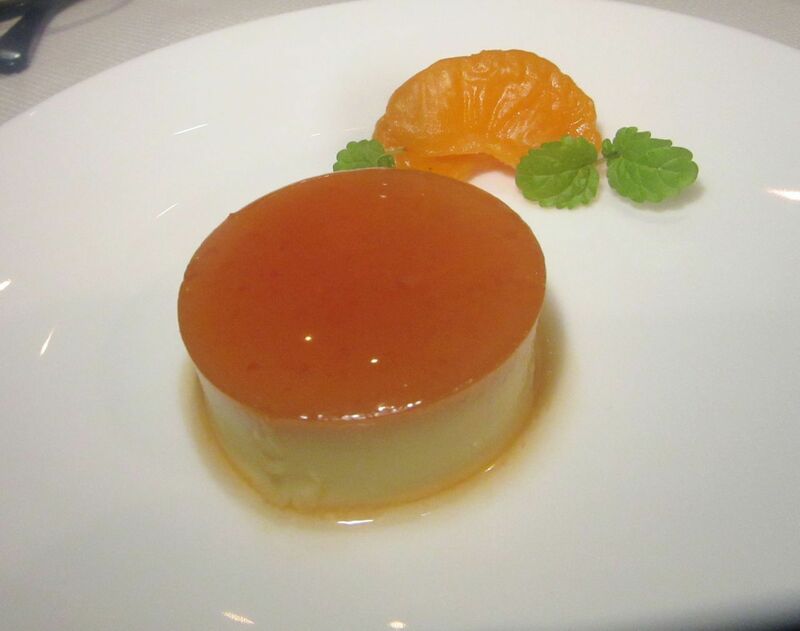 The nouveau oeuf á la neige suffers from a lack of its classic puddle of vanilla custard. It’s safe enough to order the tarte tatin, but my favorite is the pistachio soufflé. Not so different. Just quite perfect. 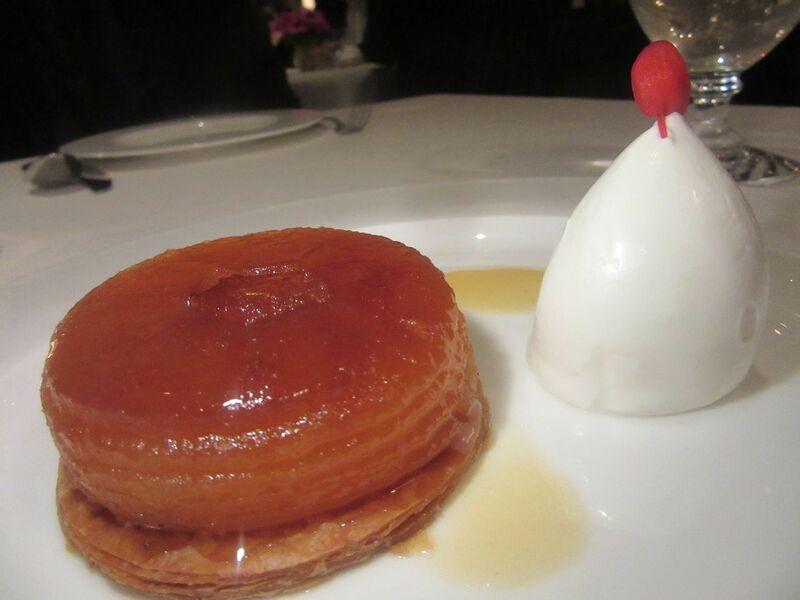 The tarte tatin is small for sharing. I suggest getting the pistachio soufflé too. The Lowell Hotel. 28 East 63rd Street between Madison and Park Avenues. 212 935 2888. Breakfast 6 am to 10:30 am. Lunch will begin soon, noon to 2:30 pm. 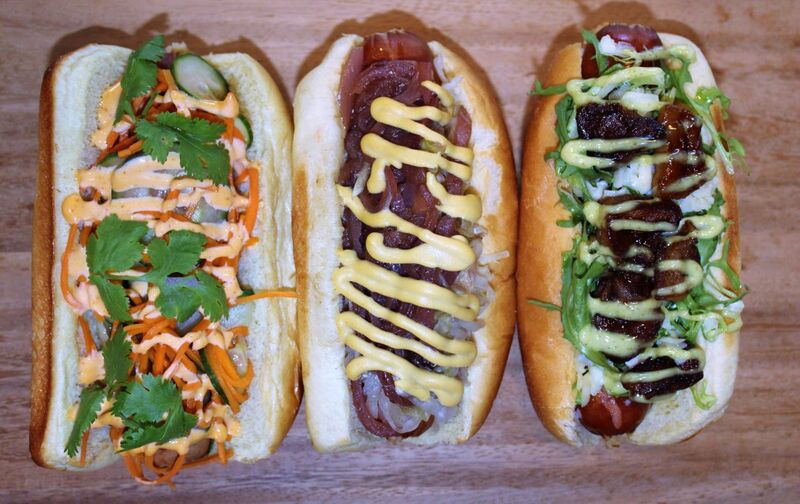 Dinner Monday through Saturday 6 pm to 10:30 pm. Closed Sunday. 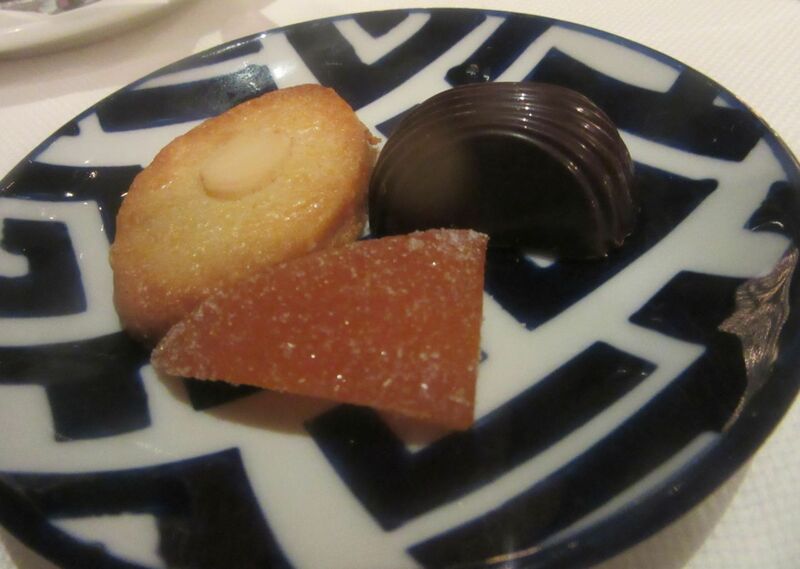 At these prices, I’d like to see more effort go into the farewell mignardises.